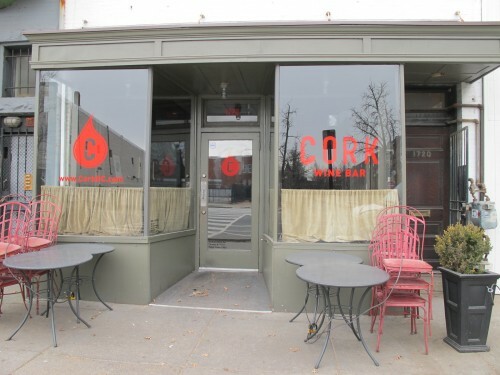 Congrats to Cork Wine Bar on their upcoming five year anniversary! I still remember the excitement of opening weekend back in Feb. 2008. It’s a serious credit to them that they are still as popular today as they were back then. It was five years ago that Diane Gross and Khalid Pitts brought their vision of a wine bar that paired Old World wines with share plates of delectable food to life along Logan Circle’s 14th Street Corridor. Beginning January 26, Cork Wine Bar will celebrate its fifth anniversary, with a weekend of special wine flights featuring some of Diane and Khalid’s favorite wines, a new brunch cocktail, and a show of appreciation to the loyal guests who have made their wine bar a favored neighborhood gathering spot. While Cork is proud to have retained both wonderful staff and popular menu items from those first few days, much has changed over the past five years, both at the wine bar and in the surrounding community. The 14th Street corridor has transformed into a bustling hub of new housing, stores, restaurants and bars. Cork is proud to have played its part in the revitalization of Logan Circle. But as the neighborhood changes, Diane and Khalid will continue to focus on what they do best – pair great food with great wine in an atmosphere of fun. • Awarded RAMMYs for Best New Restaurant (2009) and Best Wine Program (2012). • Had the great pleasure of serving music legend Stevie Wonder. • Opened its sister location Cork Market & Tasting Room. • Awarded two and a half stars by Washington Post	food critic Tom Sietsema. Cork looks forward to the next five years and continuing to be a comfortable neighborhood gathering spot in our growing community, bringing together some of the most interesting Old World wines paired with good, simple local food.